The Georgian era produced some of Scotland’s most distinctive architecture. In the late 1700s, this grand townhouse was at the heart of Edinburgh’s New Town development. The house was designed by acclaimed architect Robert Adam and was a true statement of luxury in an era of enlightenment, for those who could afford it. It cost the first owner John Lamont (18th Chief of the Clan Lamont) £1,800 in 1796, and he went on to splash out on silver, finery and lavish entertainment for his family. He also employed numerous servants. Lamont died in 1816 in financial difficulties, and his son, also John, sold the house for £3,000 a year later to Catherine Farquharson of Invercauld. The house has been magnificently restored to show a typical Edinburgh New Town house of the late 18th and early 19th century. The fine collections of period furniture, porcelain, silver and glass reflect the Lamonts’ lifestyle and the social and economic context of the time. 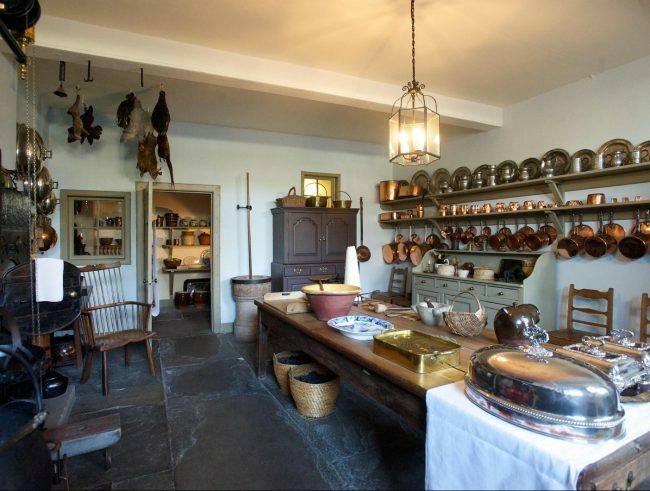 The kitchen and servants’ room give a glimpse of the arduous ‘below stairs’ life of the servants, who made the Lamonts’ elegant lifestyle possible.